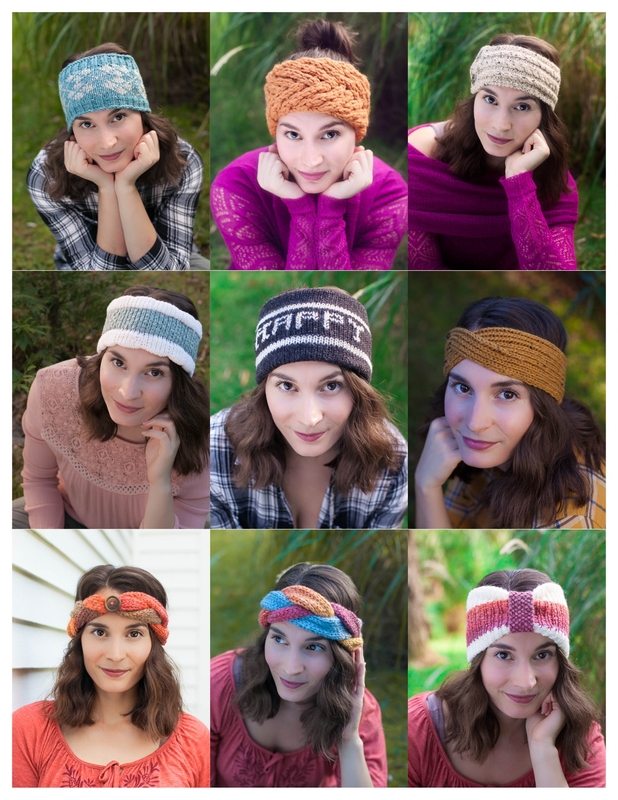 10 unique earwarmer/headband patterns done on the loom! These make lovely, quick gifts for any occasion. 8. 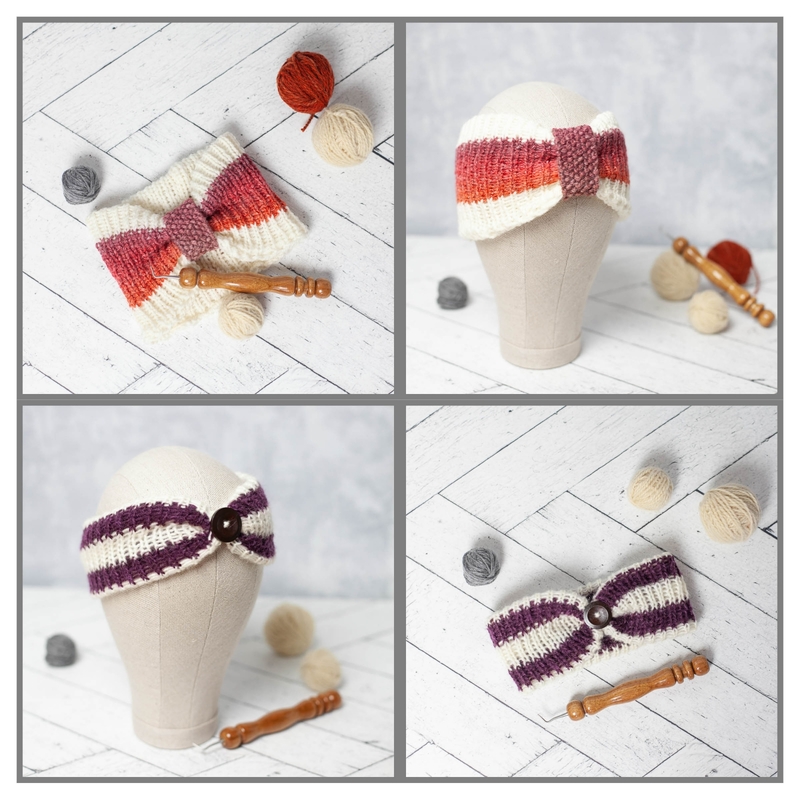 Argyle Earwarmer: Updated Argyle color pattern in subtle wintry colors make this the perfect cold weather accessory. Loom Needed: 3/8” peg spacing, small gauge, round loom with 72 (small ladies) or 84 (medium/large ladies) pegs. (All-in-One Knitting Board adjustable loom was used to make sample). Pattern works in multiples of 12. Level: Confident Beginner, experience with Fair Isle is needed. 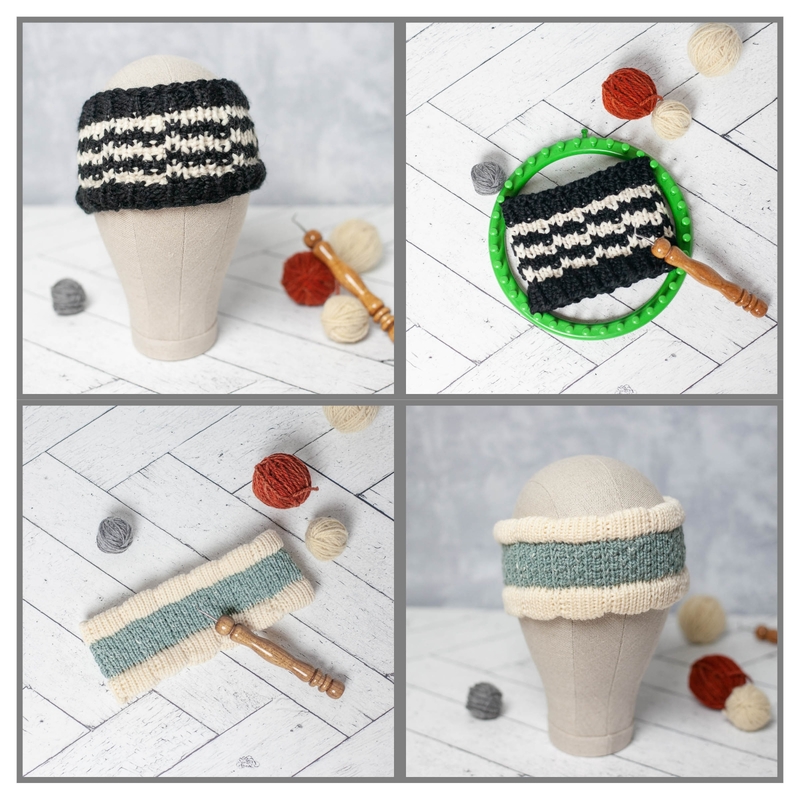 How to do Fair Isle! 10. 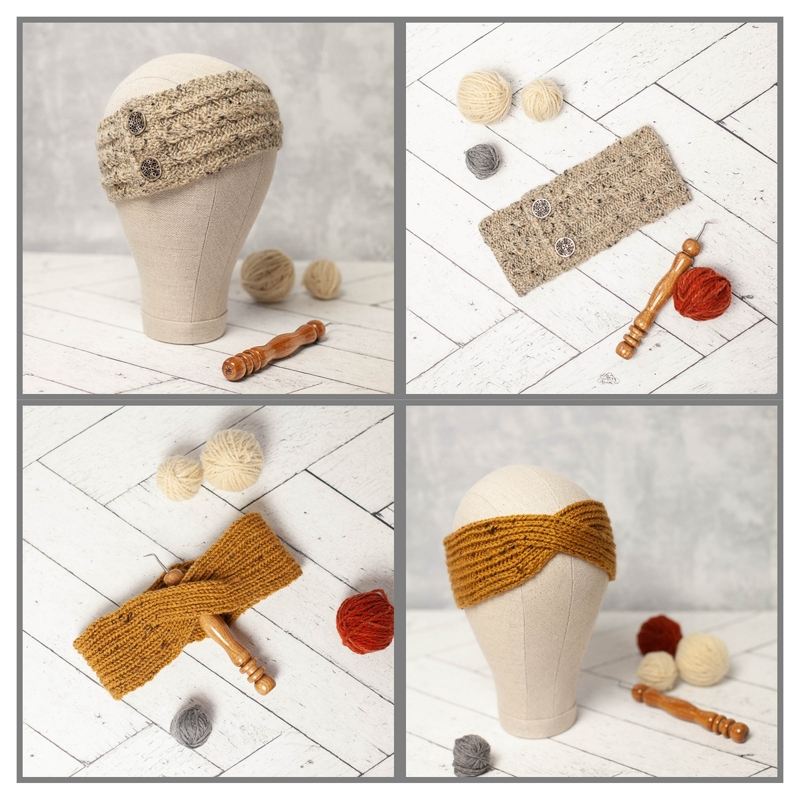 Fishtail Earwarmer: Extra thick and warm, cable earwarmer, that resembles multiple strands of rope going in opposite directions. 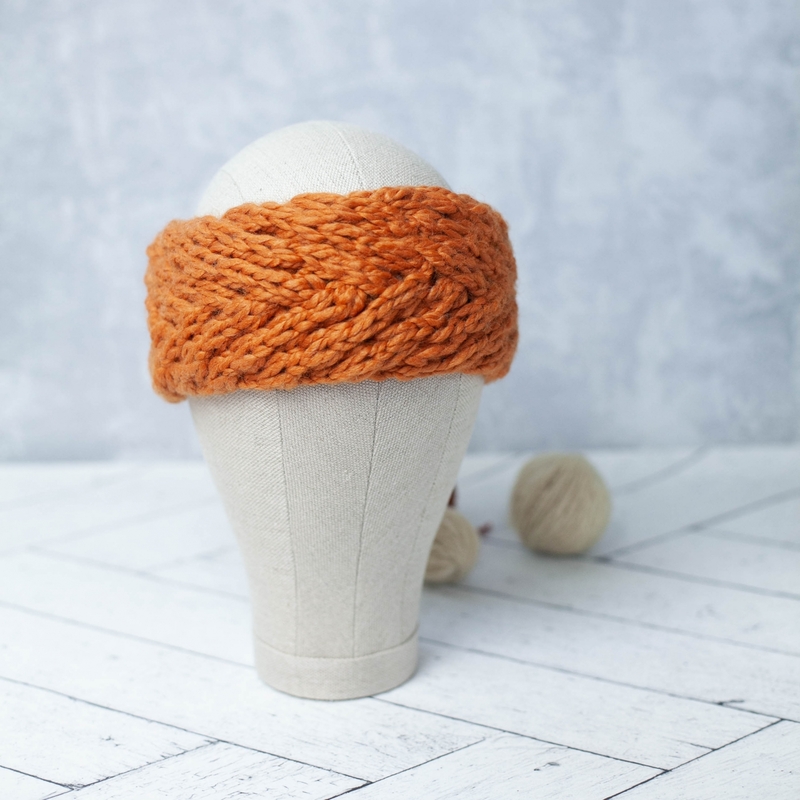 Chunky yarn makes fast work of this headband! Loom Needed: 5/8” peg spacing, large gauge, round loom with 24 pegs. (Blue Knifty Knitter used in sample, 20 pegs used). Level: Intermediate and above. 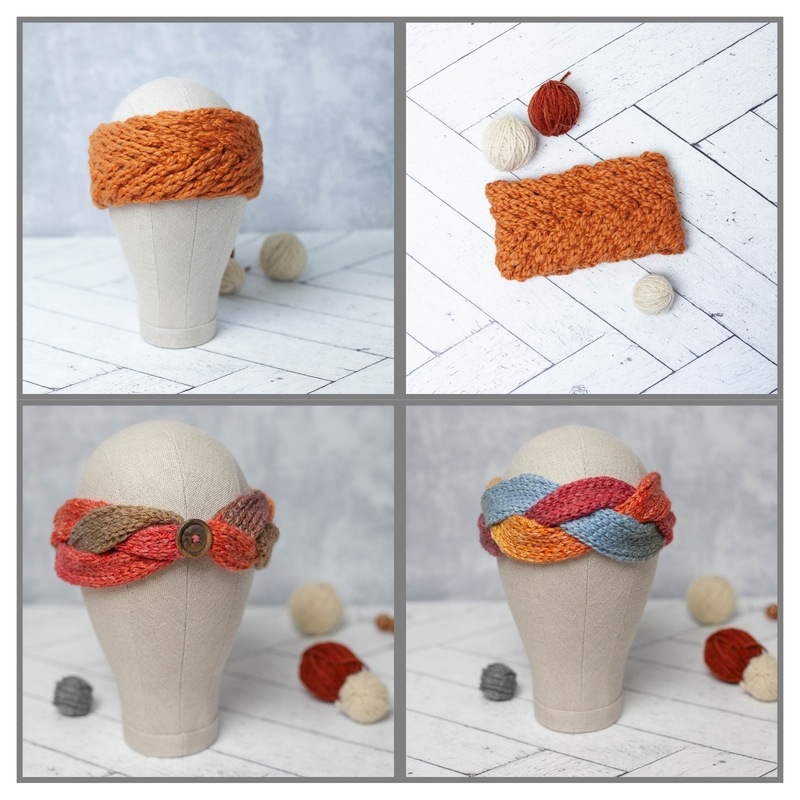 You should be experienced with cables on the loom before attempting this headband. 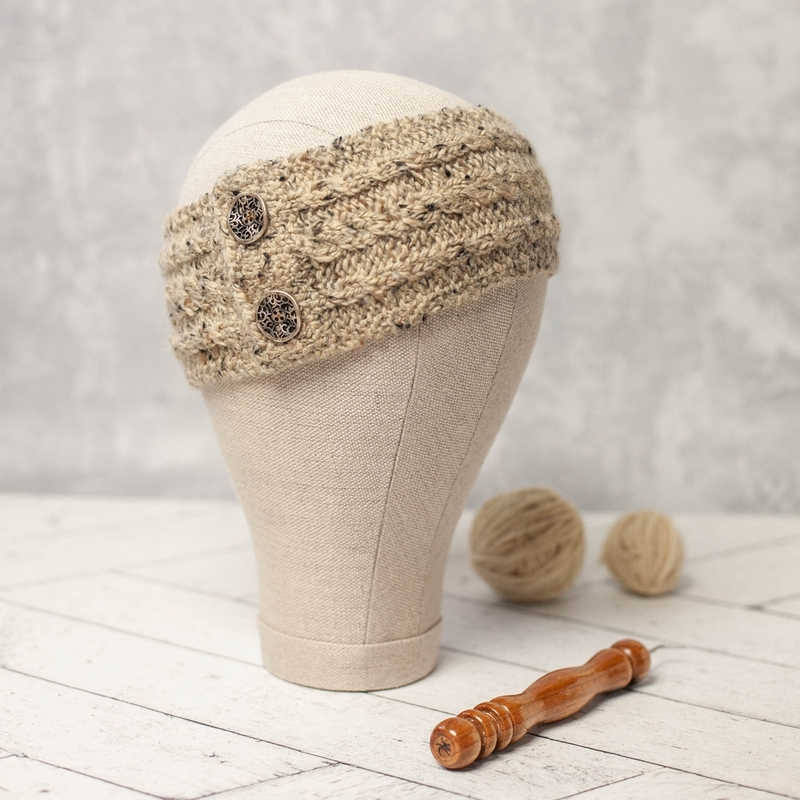 This pattern also requires the provisional cast-on and bind-off.